Need an easy appetizer for your New Year's Eve party? You can't go wrong with spinach dip! 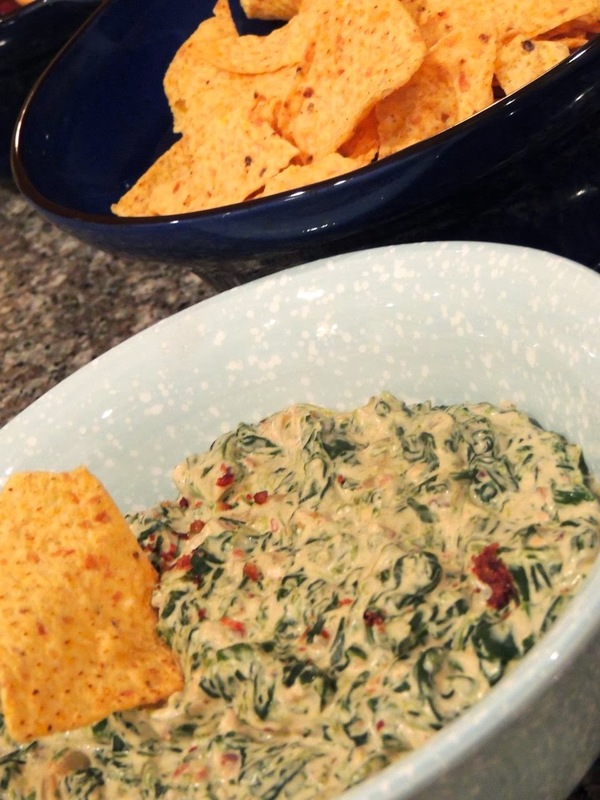 It's so delicious with tortilla chips, but you could be healthier and cut up veggies instead or serve multi-grain crackers with it. 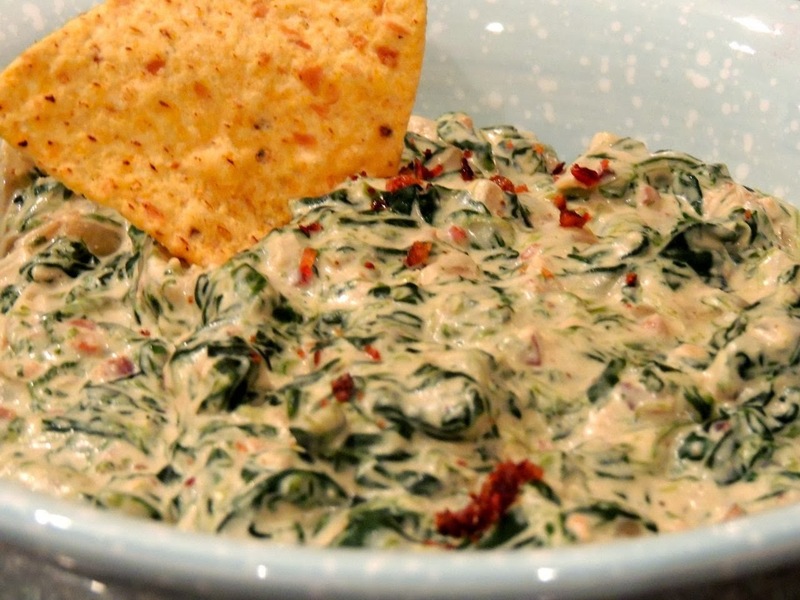 Whatever you choose to dip in it, this is a sure winner for any party. 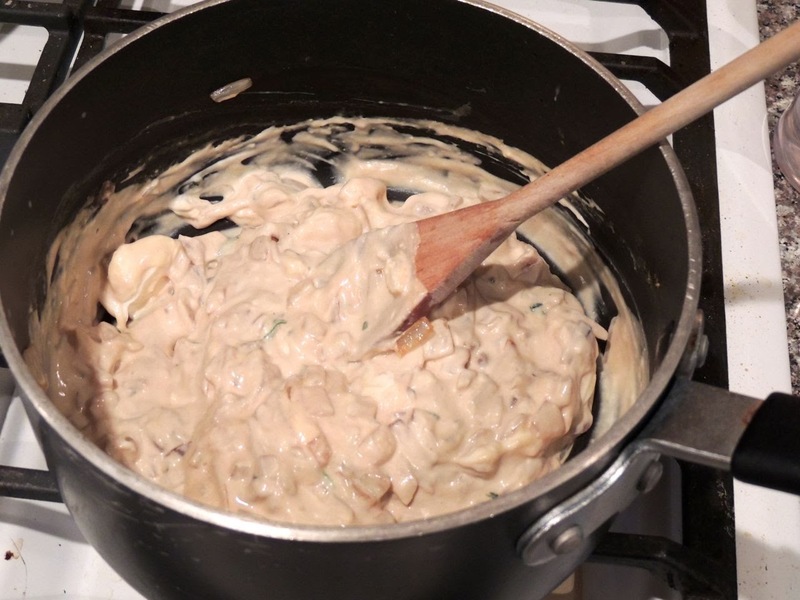 In a medium sauce pan, melt margarine over medium heat. Add onion and garlic. Stir occasionally, and cook until the onion is tender. Add cream cheese and buttermilk. Cook and stir until smooth. 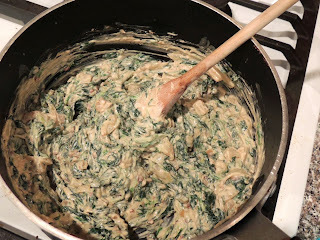 Add spinach, lemon juice, Worcestershire sauce, and Frank's Red Hot. Cook until heated throughout. 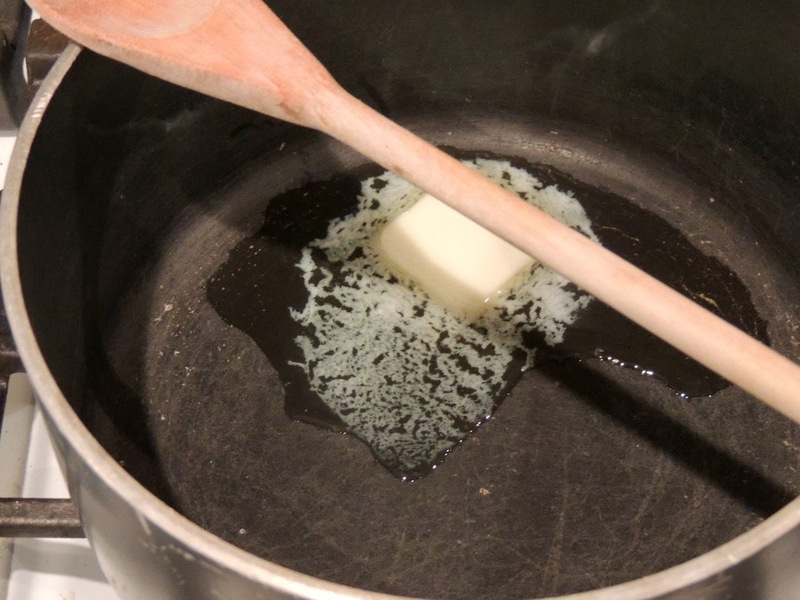 Add additional buttermilk one tablespoon at a time to reach desired consistency. Add the bacon and stir to mix it throughout. Now, you're ready to transfer the mixture to your favorite serving bowl, or to make it extra festive, buy a ball-shaped loaf of sourdough bread, cut out the center and use the bread as your serving bowl.